The 2019 $2 Repatriation Centenary Mint Roll is struck by the Royal Australian Mint. Wrapped in the Royal Australian Mint Wrapping, Each roll has 25 x $2 Coloured 2019 Repatriation Centenary Coins. 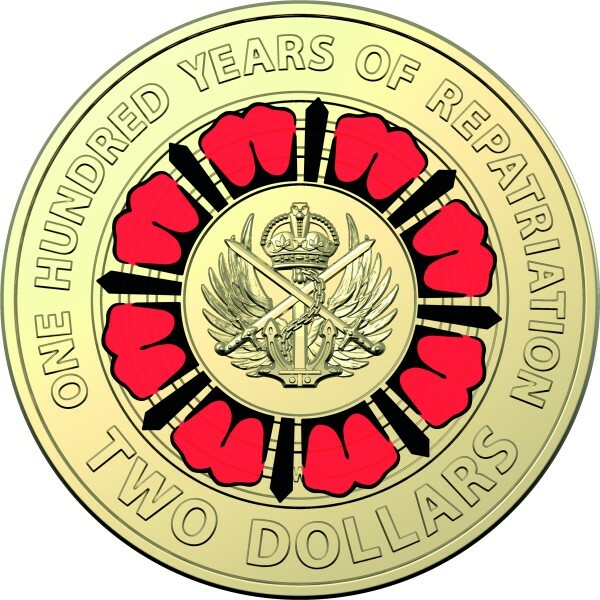 Please note you are buying one mint roll that contains 25 x $2 Coloured 2019 Repatriation Centenary Coins for $90.